Do AUP students understand the politics of the country they live in? In the wake of Brexit and the election of Donald Trump, the shift towards the far right seems to be a global phenomenon. With the French elections coming up, many are wondering if the same trend has reached l'Hexagone. The main five candidates represent a broad spectrum of the five dominant political viewpoints. 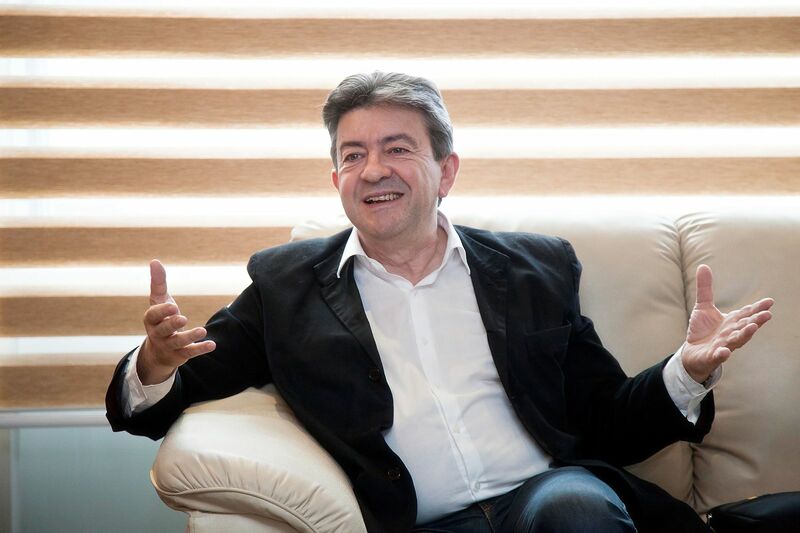 Marine Le Pen firmly embodies the far right, François Fillon, the right, Emmanuel Macron is a moderate and independent, Benôit Hamon is the left's candidate, and the on the far left is Jean-Luc Mélenchon. 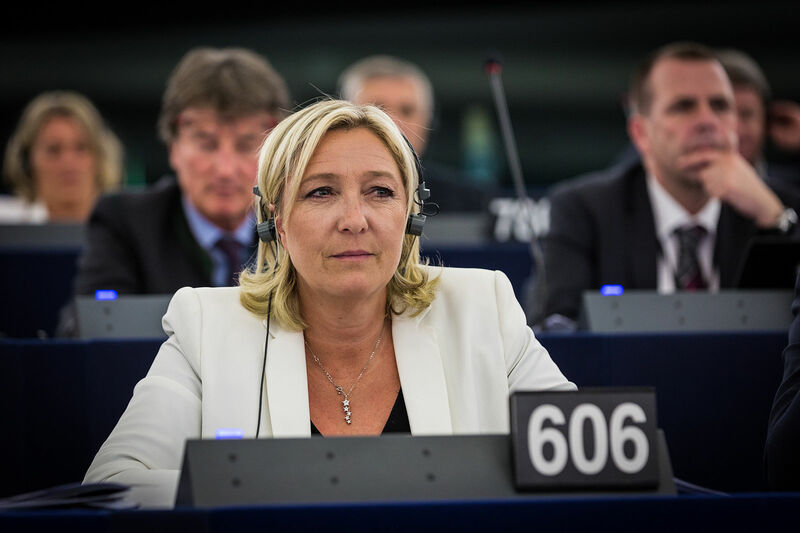 Over the past months, Le Pen has been associated with Trump and the supporters of the Brexit, and more recently, Fillon was accused of misappropriating mass amounts of money through the salary of his wife and two children, who were appointed, rather questionably, as "parliamentary aides". Unlike the American election system, the French system has two rounds, both dependent on the popular vote. It is rare for a single candidate to win by a majority in the first round, so the two top candidates move forward to the second round, in which one candidate is chosen. The elections are approaching quickly, with the first round on April 23, and the second and final round on May 7. It's clear that are American eyes remain focused on the unexpected election of Donald Trump as the 45th President of the United States, but in anticipation of the French elections, 25 AUP students in the Combes and Saint Dominique buildings were randomly selected to answer questions to determine their knowledge of the current and future French administration. Students were first asked if they knew who the French President is currently. 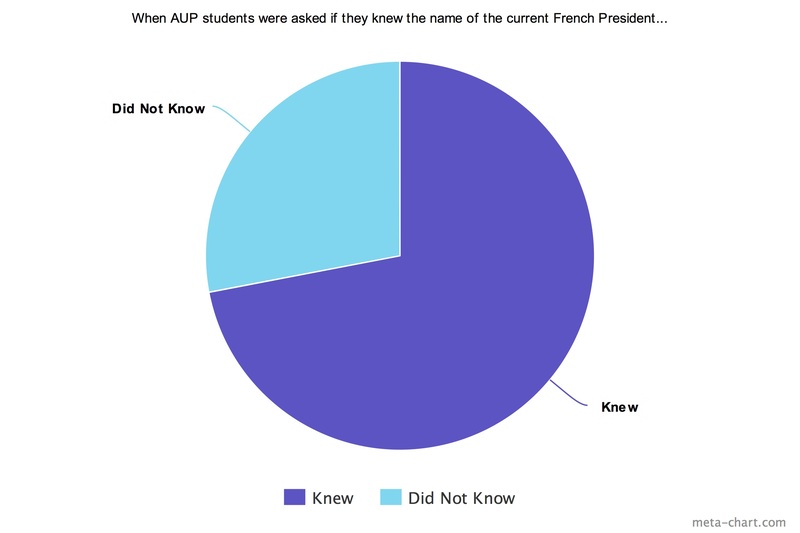 Nearly 30% of students asked were unaware of the name of the rather unpopular president of France, François Hollande. As a follow-up question, students were asked if they knew anything about the upcoming elections, and if so, which candidates they could list. The vast majority of students who knew any candidates were familiar with a so-called "Le Pen". 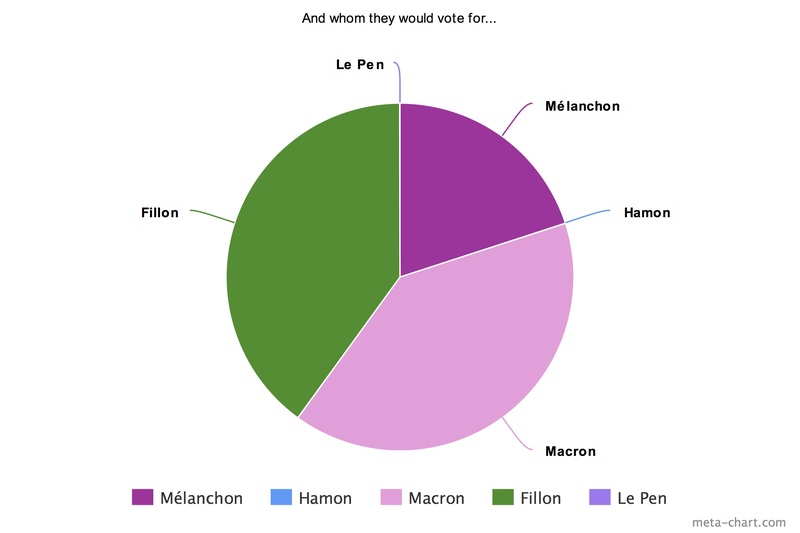 Finally, of those who answered that they did have a candidate they would vote for if they were French citizens (or, as French citizens, who they were thinking of voting for), Macron and Fillon tied. Students who did not know much about the elections, when asked whom they would vote for, often answered, "...Not Le Pen!". Regardless of the election result, the next few months will certainly present more protests and constant conversation within such a divided nation. It is important that one has a general understanding of the political climate of the place in which she or he lives and loves, for the sake of an active and intelligent youth, but also for safety and practical reasons. This is a matter of interest in France itself, and how the school covers the rapidly changing events of the election, and incorporates them into class discussions. The unfolding of the elections this year prove to be a sign of the global and national attitude of France, one of the world's leading Western countries.